First of Verizon iPhone 4 reviews are now popping up on the Internet. 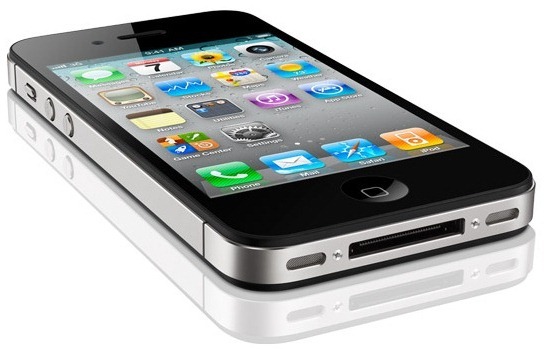 From Wall Street Journal, to Macworld, to Engadget, to TechCrunch, all have great things to say about CDMA based iPhone 4. Here is a summary of what these big guns have to say about iPhone 4 on Verizon. Firstly, you can’t do 3G data and voice at the same time, but with AT&T you can. When using data on 3G, calls take precedent, but if you’re in Verizon’s 2G territory and using data, your call will go to voicemail. Another thing to consider is how Verizon’s network handles multiple calls. You can add up to two people to a call, but after that, everyone gets shot to voicemail, unlike the AT&T phone, where the numbers go way beyond that. Let’s put this as simply as we can: data rates on the Verizon iPhone 4 we tested were dramatically slower than those on its AT&T counterpart. How much slower? Well, even though network speeds fluctuate based on many factors, we didn’t see the Verizon device peak much beyond 1.4 Mbps on downloads (and even that high was rare), and it barely hit 0.5 Mbps on upstream. On the other hand, the AT&T device regularly pulled down above 3 Mbps, and 1 Mbps or more going up. A bigger issue may be that while using the Personal Hotspot feature, your calls will kill your connection. That means that if you’re loading a page on your computer tethered to your phone and you get a call, the page stops loading and doesn’t resume until the call stops ringing, or you hang up. It’s a bit jarring. If you’re a busy person who is going to rely on this feature for connectivity and rely on the iPhone for important calls, this could be a serious issue. If you’re an AT&T iPhone customer at the end of your contract who lives in an area with poor AT&T service, you need to get to an Apple or Verizon store next week to get this updated device. Seriously, mark down February 9 on your calendar so that you pre-order it. Then show up at a store on February 10 to pick it up. If you’re an AT&T iPhone customer still on contract who lives in an area with poor AT&T service, I would definitely consider getting this updated device. It may be a few hundred dollars out of pocket, but think of that compared to what you’ve paid to AT&T over the years. If you’re anything like me, it makes you want to scream. If you’re an AT&T iPhone customer still on contract who lives in an area with good AT&T service, then no, this probably isn’t the device for you. If you’re a non-iPhone user who is interested in checking it out but has been waiting for it to come to Verizon, this is absolutely for you. The caveat to all of this is that it’s well known that Apple releases a new version of the iPhone every summer. Expect this summer to be no different. So if you buy this iPhone 4 on Verizon right now, know that there’s a good chance that an iPhone 5 will be out in six months or less. One can only hope that Apple and Verizon would do the right thing and allow the early Verizon iPhone adopters to upgrade to the iPhone 5 for a heavily discounted (if not fully subsidized price). But it’s still very much up in the air. Hell, we don’t even know for sure that Verizon will get the iPhone 5 this summer. Perhaps it will be AT&T-only based on some sort of contractual agreement. But the latest rumors suggest that a CDMA/GSM hybrid iPhone 5 that works on both AT&T and Verizon may be the most likely bet. So again, it comes down to how badly you want an iPhone on Verizon right now — and the hope that Verizon and Apple will do the right thing for customers in a few months. For all but the most discriminating user, the new Verizon version of the iPhone 4 is the same iPhone 4 we’ve known for the past seven months. If you’re thinking of buying an iPhone and are unsure about which carrier to choose, you’d be well advised to talk to friends about coverage and dead spots near you, and to compare rate plans. If Verizon’s network serves you better than AT&T’s, you can finally make the move (though you may have to pay a fee to get out of your contract—that’s something would-be AT&T switchers should check before committing to Verizon). You must bee carefull with free uｎｌｏｃｋs and amateur fully uｎｌｏｃｋ teams or free uｎｌｏｃｋers. Few days ago I have got and uｎｌｏｃｋed my iphone 6 trough a phone site, was advantageous to a months or so and i could make calls an anyting but then when i just been on a business tripit was permanently locked back by the carrier it was originally locked to. I did not know what to do, than I was using yet another uｎｌｏｃｋ staff to fully uｎｌｏｃｋ it again but they said it’s impossible they said the phone is screwed up. My buddy claimed uｎｌｏｃｋing at ATTIPHONEuｎｌｏｃｋING is professional. Any options? Anybody still doesnt learn how to սոⅼοсking AT&T phones PERMANENTLY??? There is a good site for it. Go to just google atttiphoneeuunloockiing, only take us 6 days to ՍΝᏞΟᏟΚing!